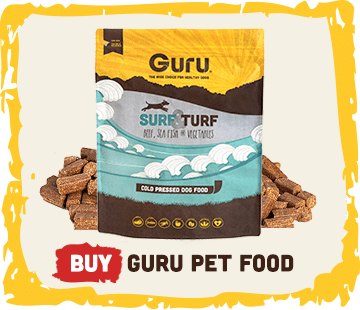 We used to feed Oscar on another brand of pet-shop available food before slowly introducing him to Guru over the course of a month as advised. At the time, he was a whopping 20kg (Oscar covers his ears when you say it out loud) and he really wasn’t eating 3 horses for tea everyday! 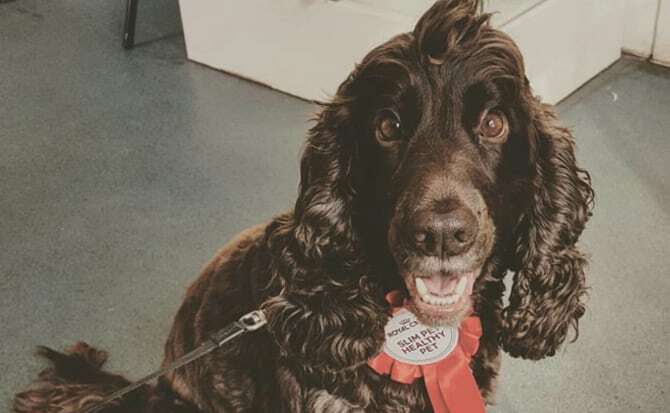 The vet decided (and us) that it was time to try and get him back down to his ideal weight of around 17-17.5kg. Over the space of the next 3 months, he literally went from 20kg to 17kg. We have now dubbed him the ‘biggest loser’. He seems to like it!! 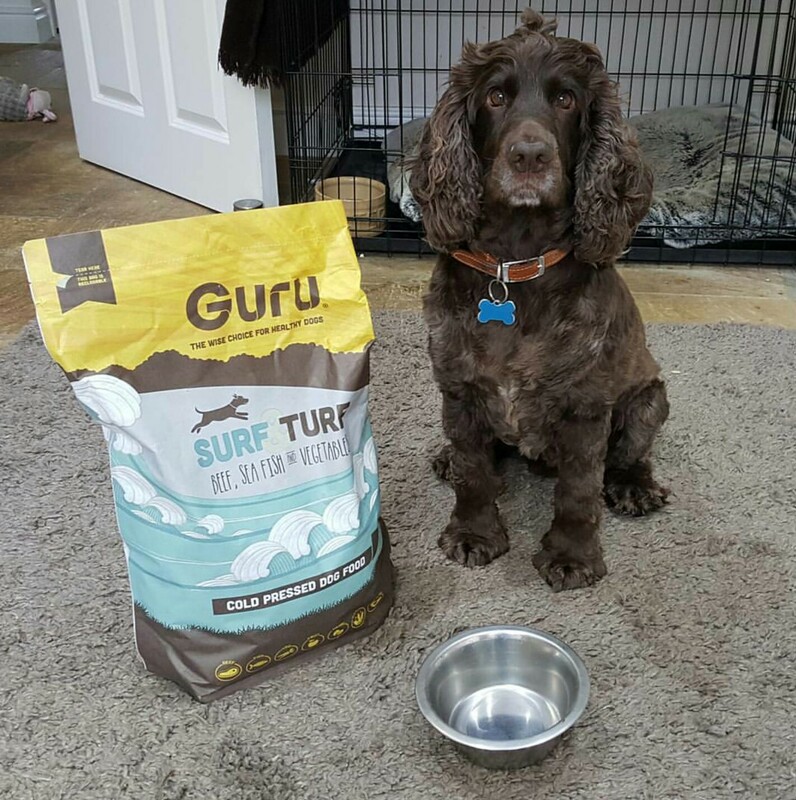 Well obviously Guru’s amazing surf & turf had an amazing impact on the little fella. He honestly adores his Guru feeding time. It took a LOT of dedication and careful planning, but we basically cut out ALL his treats like gravy bones, nibbles, chewy bones etc and replaced them with carrots. Yep. Oscar can now see in the dark! Haha. In all honesty though, we’re now in a place where Oscar chooses a carrot over a gravy bone. Amazing. Don’t get me wrong, he’s not eating whole carrots, but nibble size squares were the way we did it. 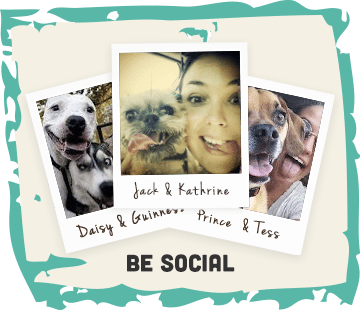 We got the whole family on board (Oscar has many hooman helpers that help look after him when myself or Lisa are away with work). One thing that really helped him, was using a slow feeder. He used to gulp his food down so quickly previously, but with the help of the slow feeder, it really seemed to help make him less the scavenger! I should add that once a week, he was allowed half a trip bone – as a very big treat. It sounds hard on the little man, but in all honesty, he’s looking better than ever and is now able to enjoy more treats in moderation. 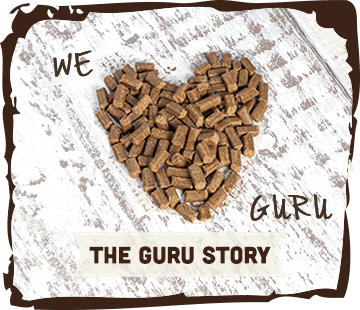 Guru really helped him shift the weight – that was obvious from the very start and one of the main reasons we wanted to switch from a shelf brand to Guru cold pressed dog food….and also because it sounded so wonderful.